IN ADDITION, we have a rotating set of vendors who will bring their specific crafts and products to the market monthly. September 7 - Market Café: Hayward Family with their ever popular (and always wonderful) Chicken Dinner. 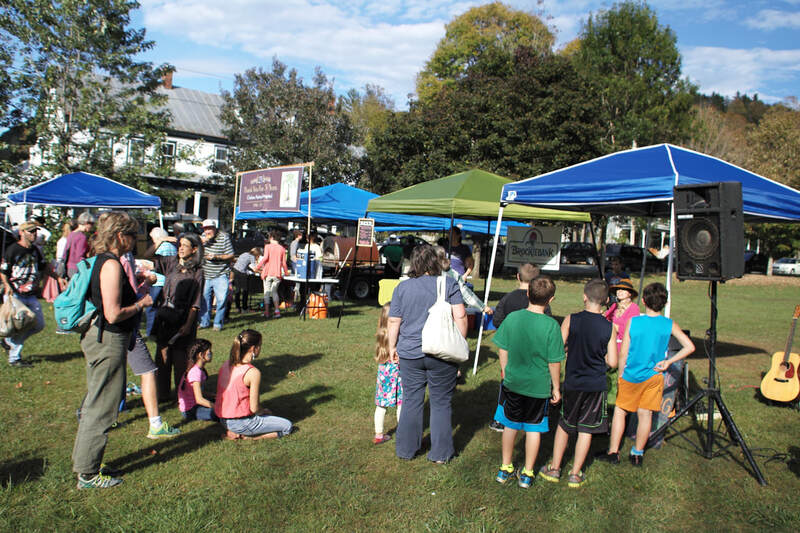 September 14: NO MARKET THIS WEEK! Everyone goes to the Fair! September 28: The FINAL summer market of the season. Market Café: Sara Gordon with her monthly offering of Vermont burgers, hot dogs, chips, and all the fixin’s. Regular Vendors (Click for details). - FREE WOOD FIRED PIZZA!! at the creativity and high standard of work from our younger market-goers. Come join us and see what great items the kids have to sell! if you have a kiddo who wants to vend. A mixed basket of offerings from many of your favorite vendors! (more on this as the event gets nearer). so don't miss this great event at your community market! We are inviting everyone who has vended with us this year to attend this market and it won't be the same if YOU are not there!! Fridays 3-6pm on the North Common in Chelsea, Vermont. At the intersection of Route 110 and Route 113. May 17th thru September 27th, 2019. Holiday Market on November 9th, 2019!